This week brings a Tot Shabbat, followed by a Community Dinner and (because of last week’s cancellation), Kabbalat Shabbat and our rescheduled Purim celebration! 6:00 p.m. Tot Shabbat: Families with young children (birth through early elementary) are are sure to enjoy this fun, musical, engaging 30-minute service and story. 6:30 p.m. Community dinner for all. RSVP: pizza@temv.org. 7:30 p.m. Kabbalat Shabbat and (rescheduled) Purim celebration. 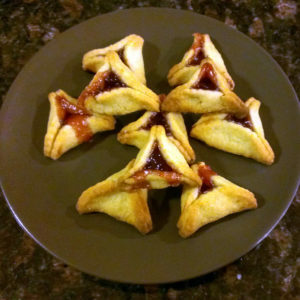 Because of last week’s cancellation, we’re celebrating Purim this week. Brief service followed by reading of Megillah and text study. Come in costume! Rabbi Sparr is available for office hours on Thursday, Friday and Sunday this week; appointments must be made in advance by contacting her at rabbi@temv.org, or during business hours at 508-736-5555. In an emergency or urgent need, do phone at any hour. Sunday, March 11, 1:30 to 3 p.m.
An opportunity for our older children to get together! Sunday, March 11, 11:00 a.m. to 1:00 p.m.
As we enter a period of transition for TEMV and look ahead to the 70th anniversary of TEMV’s founding in two years, we would like to compile and share some of our community’s stories. We therefore invite you to participate in the L’dor Vador: The TEMV Storytelling Project. On Sunday, March 11, from 11 a.m. to 1 p.m., please come to the TEMV sanctuary to record a short (ideally, under three-minute) video of your thoughts on what makes TEMV special to you. Please e-mail publicity@temv.org to RSVP and let us know what time you plan to arrive. We will have a camera set up; there’s nothing you need to bring. Parents: We welcome children’s participation, but you must be there to confirm that this is okay with you. You may also send written reflections before March 30 to publicity@temv.org as plain e-mail, a Microsoft Word document, Google Doc, or PDF. We may edit gently for typos. We will compile all of the videos and all of the written reflections into items to share with our community. You will also have the option of allowing us to share your videos and/or writings on TEMV’s public website and social media channels so that the wider world in Lowell and beyond can learn more about the community we have created here at TEMV. If you are able to be a lay leader for our Shabbat service on March 16, please contact Karen. If you can provide the oneg for our 6:30 wine and cheese “pre-neg” on Friday, March 23, please contact oneg@temv.org. Sunday, March 18. Set up is at 3:30 p.m.; dinner is served 4:30 – 5:30 p.m., followed by clean up. We need volunteers to make chicken patty sandwiches and macaroni and cheese that can be heated up at the soup kitchen (frozen patties can be thawed on site), plus green salad. If you can make or buy any of these items (including condiments for the sandwiches), please contact Jill Barry. We need enough for about 85 people. Saturday, March 31, 5:00 p.m.
TEMV is a participant in the Amazon Services LLC Associates Program, an affiliate advertising program designed to provide a means for sites to earn advertising fees by advertising and linking to amazon.com. Just start your Amazon shopping through this link to take part. Visit the signup page to choose your date or email oneg@temv.org with your preferred dates. ​We ask all members to sign up to host twice. It’s one simple way to help the community! The complete Service schedule for the year is here, along with our full calendar of events. See our Events page for details of regular times. See our Events page for details of when we usually play and how to join in. There is a box in the TEMV lobby for non-perishable food and toiletry items, to be donated to the Lowell Transitional Living Center. Do you have something to add to our News page or the temple’s bulletin? Send it to publicity@temv.org. Please join our e-mail list to receive weekly updates about TEMV happenings. If you are not a member and would like to be, please visit our Membership page. Please join us for this always joyous occasion! Space and seating are limited, so you must RSVP to seder@temv.org with the number of people in your party. Preference will be given to temple members. Each family should bring two dishes (main dish, salad, vegetable, or dessert) to share that will serve eight to ten people. The dishes should ideally not require heating as we are limited to one small microwave / convection oven. TEMV is a participant in the Amazon Services LLC Associates Program, an affiliate advertising program designed to provide a means for sites to earn advertising fees by advertising and linking to amazon.com. Enter your email address to receive news notifications by email.